What a cool book. If I sat down and dreamed up the perfect (almost: see below) book about whisky, I would want it to contain the following: Beautiful photography of distilleries and Scottish vistas, sturdy coffee-table book construction, pleasing layout and typography, in-depth descriptions of every major and minor distillery in the world, copious tasting notes by one of the most respected names in whisky writing today, and preamble about general whisky topics. Author Dave Broom managed to package all of the above into his seminal World Atlas of Whisky . In addition, he integrates a roadmap of distillery taste profiles that allows a reader to progress through similar expressions. Example: Liked Laphroaig 10? Try Ardbeg 10. 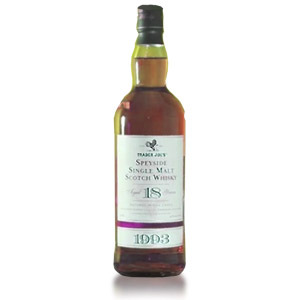 Liked Macallan 10 (sherried)? Try Aberlour 16. Genius. As usual with these books, my one gripe is the sparseness of information about where flavors in a certain distillery’s product come from. For example, while he talks in-depth about Dalmore’s stills and wood policy, he doesn’t even mention their process water. These are nitpicks, though, as this hardcover book is already 320 pages long, and to include every nerdy detail would have necessitated the publication of multiple tomes! My criticism, however, is totally eliminated by Dave Broom’s inclusion of tasting notes for the new-make spirit at every distillery. What a wonderful source of information! Nobody else does this, and it’s invaluable. The books begins with a standard (though well-written) introduction to whisky, its production (with handy charts showing usual production methods for malt, grain, Irish pot-still, and American styles), and how to taste it. The ubiquitous flavor map is included. Each region, including Scotland’s many distillation regions, Ireland, Japan, the USA, and Canada begins with an overview of the styles of whisky produced there, a map of distilleries, and a bit of contextual or historical information. Each distillery (or group of related distilleries) gets one or two pages with a few photographs, a general description with some insight into whisky production, and a handful of tasting notes including the new make and a couple of distillery standard bottlings. Popular or prolific producers of course get more attention. 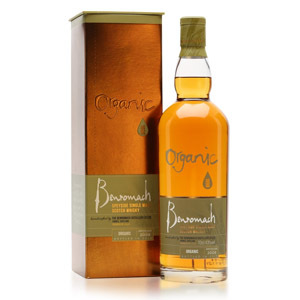 Information on blends and grain whiskies is minimal and independent bottlers are not covered at all, so don’t expect this text to cover all available products on the market. Scotland receives the bulk of the pages (170), The USA is covered in 38 pages, Japan in 18, Ireland in 12, Canada in 10, and the rest of the world (each country gets a page or two) in 30. The book concludes with a flavor index (listing products that fall into each quadrant of the flavor map), a glossary, and a comprehensive index. Of all of the whisky books that I have read, I consider this one to be the best. It is the most complete and most pleasantly arranged book, and I continue to use it as my primary source of information when researching a distillery. That makes it my “desert island” whisky book. Because it goes so far beyond dry lists of brief intangible tasting notes, it’s the first book I would recommend to anchor any whisky lover’s library. If Dave Broom’s World Atlas of Whisky were a dram, I would definitely award it with a “Must Have” rating. I picked this up a couple of weeks ago but have yet had a chance to crack the spine. Good to know I made a good purchase. I picked this up today on your recommendation. Had to order some nursing books (working toward my CCRN), picked this up with free shipping from Amazon. $24, sold! Just ordered the book as a gift for a Wiskey lover. From what I’ve read I think I hit the nail on the head with this one. Thanks for the review. Bella, Good choice! This is my favorite whisky book, out of the 10 or so I own. New edition (fourth I think) is coming out in October 2014! I tried to order the 3rd edition (what is pictured above) from Amazon 3 months ago and they have not been able to ship. Part of the war Amazon has going with some publishers? Anyway, B&N has the new edition on pre-order here (http://www.barnesandnoble.com/w/the-world-atlas-of-whisky-dave-broom/1119880534?ean=9781845339425) for the same price as Amazon advertises the 3rd edition. I’m going to pre-order. Hello, I know this is quite old review but I am considering buying this book an I have few questions to the book and your review, so I hope you wouldn’t mind answering them. 1. Why are tasting notes of the new make spirit “invaluable”? Nobody will taste it un-aged anyway, so why is it important? 2. You mentioned “roadmap of distillery taste profiles” – this is something I would appreciate most, but can you elaborate little more on how it is done in the book? Is it only suggestions in text form like you mentioned or is it some kind of table or graphics or something else? 3. How about a “flavor index”? How many whiskies are “mapped”? Is it textual or graphical index? Hi Petr, I’ll do my best to answer your questions. 1. New Make reveals the characteristic flavors and aromas of a whisky that are Not derived from wood. 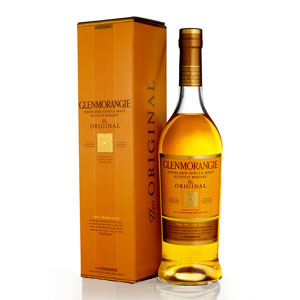 Usually the “House Character” of a whisky (unless owing to a very particular type of cask, such as a rare French wine or sought-after brand of sherry) is present when it comes off the still. It will be heavily modified by aging in oak, of course, but the New Make offers a glimpse of the heart of the whisky, and is one of the ways that new distilleries can be judged before their product hits market. Kilchoman is a good example of that – by all accounts their New Make is very good. 2. By roadmap, I mean that after each tasting note, the author includes something like “What’s next? The Glenlivet 12yo, Speyburn 10yo” – by following these suggestions throughout the book, you can “progress” through a wide and representative swath of whisky. There is also a “Flavour Map” on page 28 which shows a dot for 100-or-so whiskies on a two-dimensional scale of smoky to delicate and light to rich. I’ve seen this type of diagram in other resources. An appendix also lists each whisky by flavor camp (“Fruity & Spicy”, “Fragrant & Floral”, “Rich & Round”, “Smoky & Peaty”, “Malty & Dry”.) 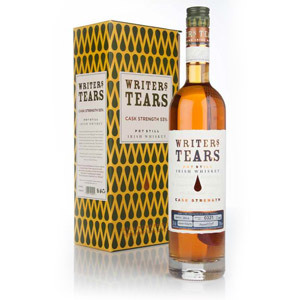 There is no “flavor wheel” which is an oversight, but they can be found online, and I think the author prefers to talk about the above flavor camps rather than focus on whether a given whisky has Gorse notes or not. 3. The only graphic related to flavor is the 2d dot-plot mentioned above. The flavor camp appendix is just a textual list. Check out the Amazon page And click the “Look Inside” image for a few sample pages – hit “Surprise Me” a few times to maybe get a feel for he layout and format. Hello, many thanks for your answers. Very helpful. You hit nail on the head – the amazon’s “Look inside” is exactly what I was looking for – so thanks for that!! One last additional question: Do you still recomend it as the best book you’ve read? Even after few years there is no other better book you’ve read? Yes, I still think it’s the best single resource on whisky that I’ve read. You could probably accumulate a better total aggregate of whisky information by purchasing three or four specialized books on the subject, but I certainly couldn’t tell you which books you’d need to do it.